Look out for signs of Leukoplakia and talk to a doctor about your condition. With smoking as the most common cause in today’s society, leukoplakia will see the recipient experience white patches all over the tongue. In addition to the tongue, some also experience these thick patches in the lining of their mouth. If the issue isn’t too serious, it should go away within just a few days but it should also be noted that it can be a sign of something more worrisome such as oral cancer. With this in mind, it’s important to get in contact with a doctor if the problem doesn’t clear after a few days. 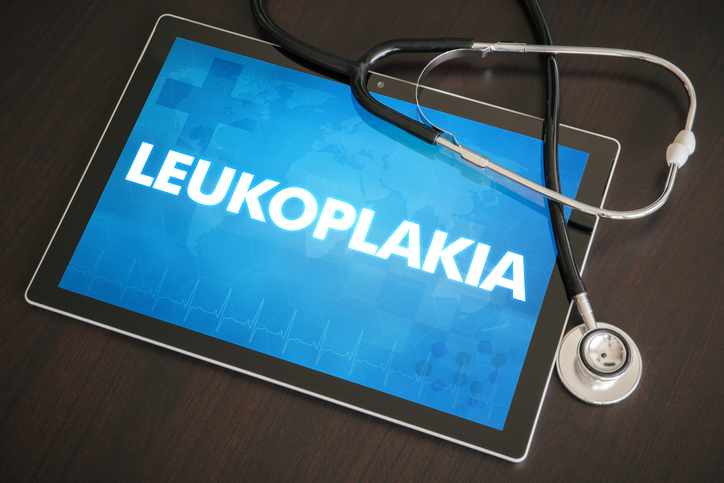 Today, we’re going to look into the main causes of leukoplakia as well as the symptoms (so you know what to look for) and how it gets treated! Despite all the advancements we’ve seen in technology in recent years, we still don’t know exactly why these white spots appear. However, we do know that tobacco exacerbates the problem; this can be both chewing and smoking. After this, it could be caused by chewing on the insides of our mouth, an inflammatory condition within the body, uneven teeth catching on our cheeks, and perhaps even dentures when they aren’t fitted as they should be. Furthermore, recent research suggests there could be a link between this and the human papilloma virus which is important to note. For those who have suffered from the issue, they note ‘strange-looking’ patches inside the mouth. Since most of us look into the mirror when brushing teeth and our tongue is constantly surveying the area, it doesn’t take long to notice something abnormal. Although the most common appearance will be white, we should also say that you might experience spots that are gray, hairy (we’ll discuss this in more detail in just a moment), red, and rough. To pick up on a few points in the way the appearance can vary, redness is the most common sign of cancer. We recommend contacting a doctor if you see red spots inside your mouth. Furthermore, there is such a thing called ‘hairy leukoplakia’ and the main cause of this will be the Epstein-Barr virus (EBV). Once you have this virus, it will be with you for life even though it doesn’t often cause any problems for the body. With hairy leukoplakia, this is one of the few times it does make itself known. Typically, leukoplakia can be diagnosed almost instantly with a simple oral exam. As well as your doctor, your dentist should also know the signs and professional help can be important because the majority of us will misdiagnose the issue as oral thrush. With the latter, the patches tend to be softer which causes them to bleed more frequently and this is how you tell the difference. If the professional can’t advise on the issue immediately, they may request a couple of small tests just to be sure. By knowing exactly what the problem is, they can move forward to the treatment phase with confidence. If cancer is suspected, a biopsy will be recommended and this is where the professional will remove some tissue from the affected area before sending it to a laboratory for further testing. Once they’ve found the issue, how do they treat it? As mentioned previously, a standard case of leukoplakia won’t worry the doctor too much and they’ll suggest keeping an eye on the spots to make sure they disappear. If you smoke or chew tobacco, it’s important to avoid this trigger. If they fade away, you then know this was the cause and your doctor can provide suggestions for future prevention of the issue. If your doctor suspected something a little more serious, they’ll wait for the biopsy results. If there are any signs of oral cancer, the patch will have to be removed to prevent the cancer from spreading. Ultimately, this procedure will be similar to a biopsy in that they’ll take the small patch with a scalpel or perhaps even laser treatment. If the patches are extensive and these two methods won’t help, full oral surgery will be required. With hairy leukoplakia, they might be removed but it depends on the circumstances. For example, some retinoic acid antiviral medications can prevent the patches from growing. Although the majority of cases are harmless, we recommend contacting a doctor if the spots are red in appearance or if they don’t fade away as they should after a few days!